I'll be the first to admit that I'm not necessarily the cleanest person in the world. My husband is far tidier than I am. But what I do excel at is organization! If you ask me where any one random item is in my home, I can tell you in great detail exactly where. I have the kids' schedule outlined in my paper planner, and we have never been late to anything. Nothing. So while I may need to take a shower and do a load of laundry, I'm on top of the organization game in both my home and in my life. I'm going to lend a helping hand and share with you some of my best playroom organization tips and tricks. Playrooms are notorious for being a big hot mess, and with good reason. My kids tear this room up! Every. Single. Day. But, there's an order to their madness because there is an order to the room. When there's an order to the madness, it makes the room much easier to clean up at night. Every toy has it's place and gets returned to that place. Then the boys know where to find that toy the next day. It can still be chaotic much it's more of an ordered chaos, if you will. Before we jump in, I'd note that part of my organizational strategy is to keep the number of toys to a minimum. Our playroom is a good size, but excessive stuff no matter how much space you have adds to a larger mess to clean and organize daily. I keep toys down by asking friends NOT to bring gifts at the kids birthday parties and I've even been known to take Christmas presents and hide them in my craft closet to gift them to the boys at a later date. There's just no reason for 25+ presents at Christmas! Minimalism with the toys is key to more easy organizing. Basically, the room is categorized into four stations. The four stations correlate with the four major storage units we have in the room. Both boys can access all four stations and gain access to the toys that are stored in them. Station 1 - floor toys: We have one large racetrack that always sits out , and one wooden box that houses several games. Then I have two portable containers so that the boys can play with those toys in the living room while I watch the news, in the bathroom while I get ready, or in the kitchen while I cook. 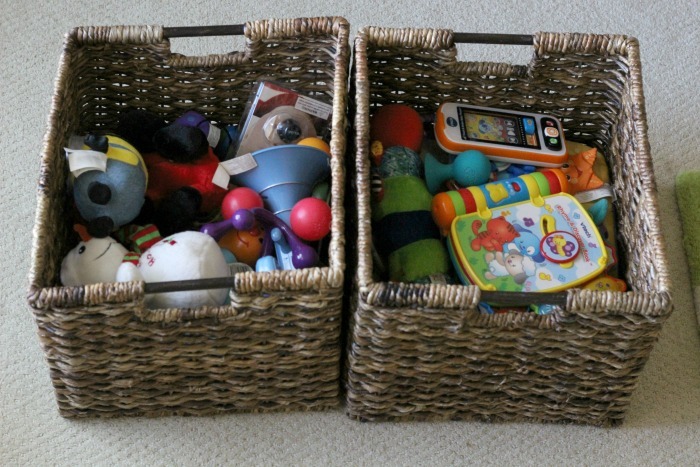 Other than these few portable containers of toys, everything else stays in the playroom. Station 2 - plush floor toys: This was used a lot more when Otto was younger because it houses a Bobby pillow, a tummy time mat , baby carriers (which we still use) and a few other infant-oriented, larger items. The top of this chest is where we store the boys' outdoor items. This is Texas, so they have baseball hats and sweatshirts! This makes it easy for a quick grab if we're going in the backyard, or if we're getting ready to walk the dog, in which case the baby carrier located in the same location makes that transition even easier. 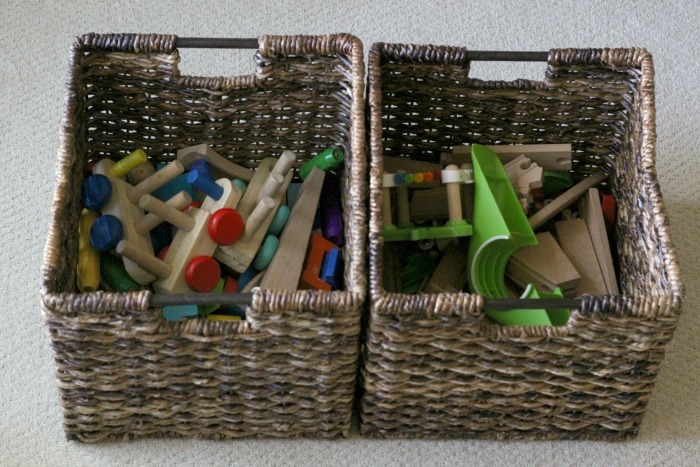 Station 3 - books, blocks and sound-making toys: These are held in four wicker baskets that are light enough for Henry to pull off the shelves. One has blocks, one has a wooden train set, one has musical toys and toys that make noises, and the last has balls and stuffed animals. 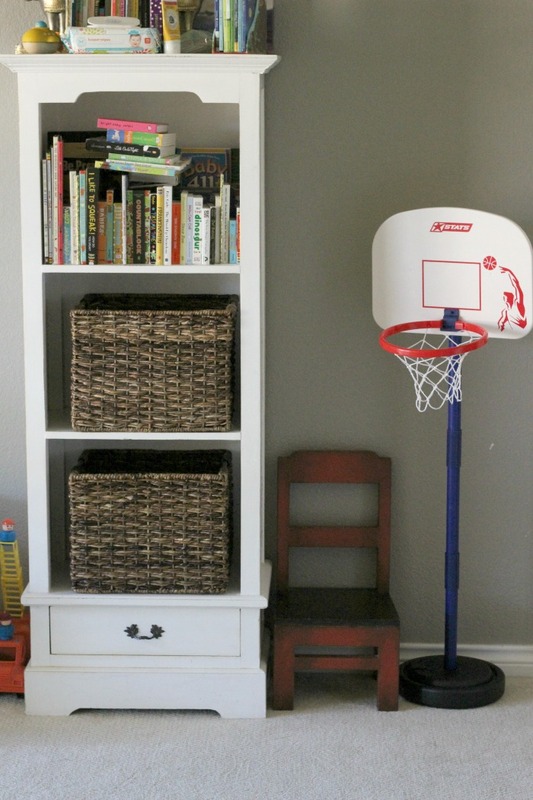 Each basket goes into the same slot so the kids always know where to find which toys. The top shelves have the books. We're starting to get so many of those, we'll need another bookshelf soon but I'm ok with them having as many books as they want! The lower drawers are filled with large plastic blocks that Otto can access. Pro tip: These shelves are bolted into the wall so that they don't ever fall onto a child. Station 4 - table toys: This looks a bit chaotic but the toys on the table are always the same. 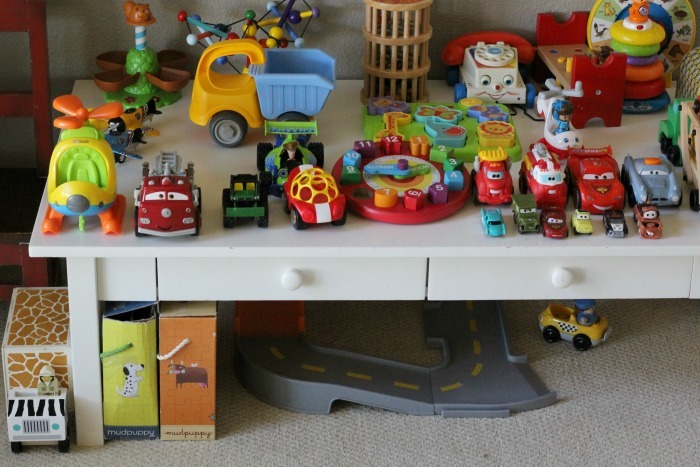 They're mostly cars and trucks, or other toys with wheels, because the kids like to roll them off the table. There's a few other baby toys on it so that Otto can have access to them since he can't quite yet pull the baskets off the shelves. Under the table are a few puzzles and larger race car tracks for all those cars. Like these organizational hacks? Pin it! 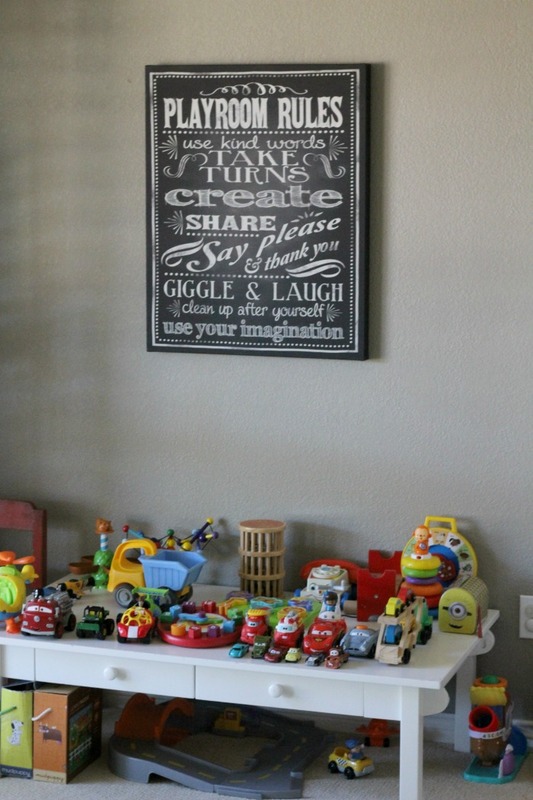 I've found this "station method" of playroom organization tips and tricks to really facilitate keeping our playroom in order! And having the toys branched out into these categories makes clean up so much faster and easier. We're just starting to have Henry (who's 2 and a half) help clean up this room before bedtime, and because of the consistent organization, he knows where each toy goes and is able to be helpful. Even Otto, who is just 13 months, watches and is learning where everything's place is. I can't wait for them to be able to clean the room without me before bedtime! With these organizational tips, I bet it won't be too long. I need to do this for books, client portfolios (that shouldn't be outside of the office) and nail polishes. Keeping toys to a minimum! Yes!!! I have a friend who's kids literally have more toys than I've ever seen in my life. They have like 3 princess/Barbie houses, 2 kitchens, the largest toy chest ever, a dress up chest that is stuffed to the max and a ton of other toys I can't even wrap my head around. We have like 4 baskets of toys, 1 kitchen and 5 dress up dresses, plus like 100 books (plus EJ's like 5 toys). That's about it. And A still has plenty to do. Stations are a great way to organize. THese are all such great tips ! I need to get my daughter's room organized ! There's so many shopkins everywhere ! I'm always surprised by how tidy the playroom is when I visit. Your method WORKS! 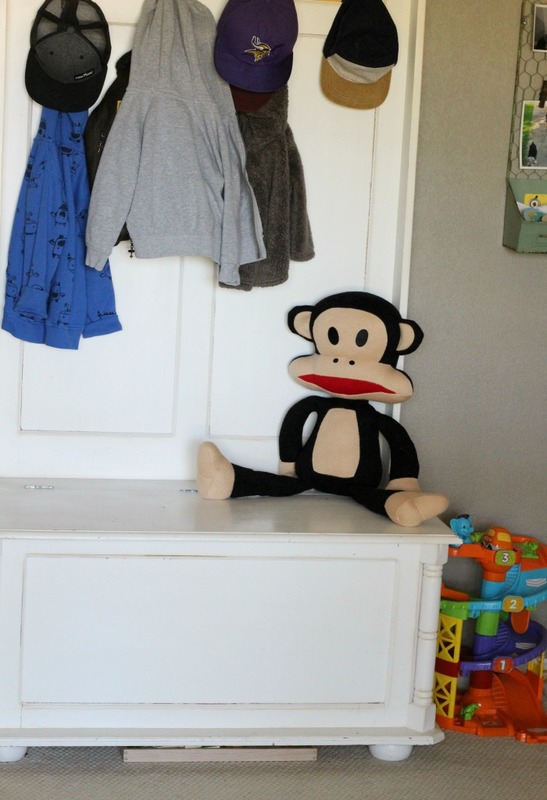 My playroom is a mess, so I need to implement some of these ideas! 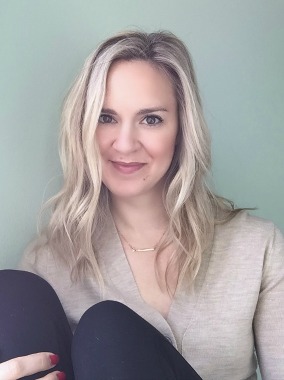 I enjoyed reading your posts on blog, and it was fun to discover we have some overlapping interests. Interesting and fantastic design looks great. Thanks my friend.